Bégué Coco produces and retails a variety of coconut products. The business began producing a variety of coconut food, drink and artisanal products, but this experience has led us to now focus on producing virgin coconut oil cosmetics. 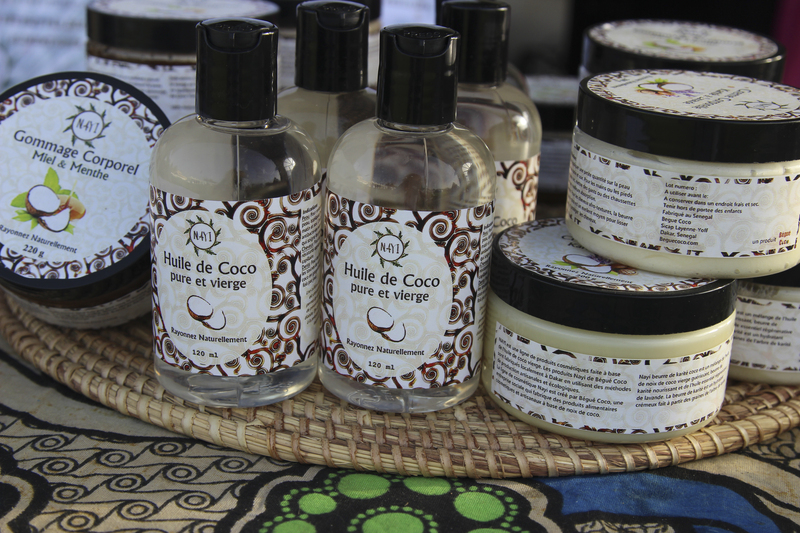 These products will first be sold in Senegal with the goal of expanding throughout West Africa. In the short term as we target the Dakar market, we will provide our patrons with delicious refreshing coconut and juice beverages, yogurt and baked goods as well as our coconut cosmetics, event sales, partnerships and by order. 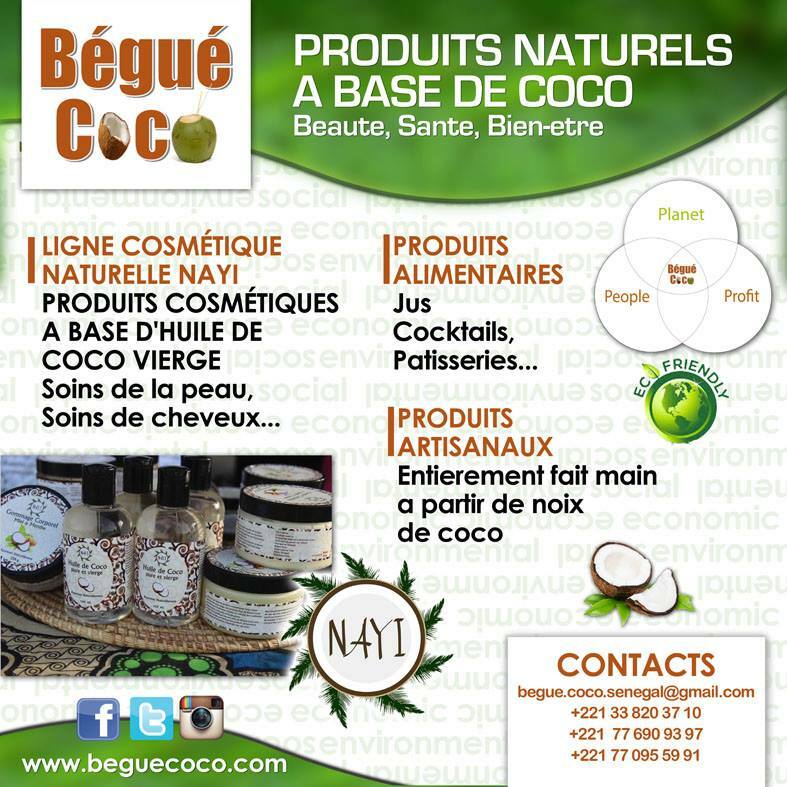 Bégué Coco produces its own virgin coconut oil that is sold as a healthier option for our customers’ everyday cooking and even cosmetic needs. Our virgin coconut oil is made locally using traditional and all natural methods. 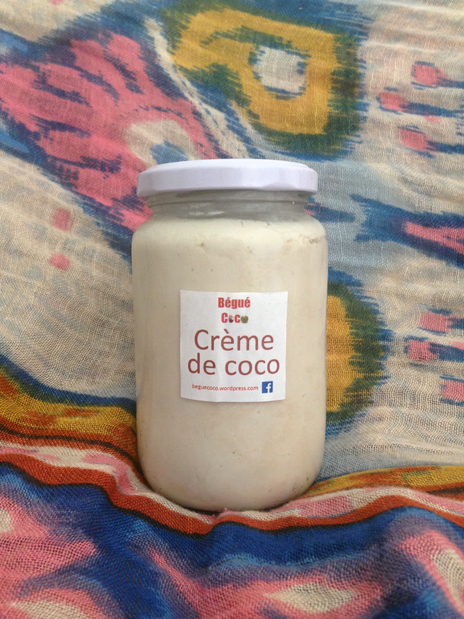 It is sold at he Bégué Coco Cabana, events in Dakar, online and by order. 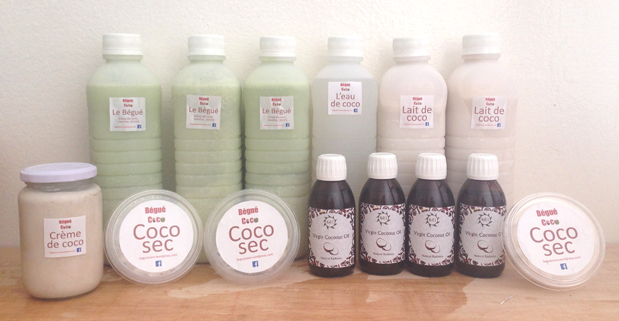 We create a wide variety of freshly made Coconut Products, available by order only. These products include Fresh Coconut Water, Bégué Coco juice cocktails, Coconut Milk (a great dairy alternative and is fantastic for cooking), Coconut Cream, Frozen Coconut Yogurt (Locally-made yogurt called Sow that is sweetened with Coconut Shavings), and Dried Coconut (A great snack for kids or when you are on the go). Our coconut baked goods, including cakes and cookies, will be sold individually and by order. They will be made with the coconut shavings and coconut oil. They will be a delicious snack that cannot be found in other pastry shops. Hi Caroline, we currently do not have a location but you can make an order and we can deliver it to you. Please call cheikh Thiam at 771696635 or penda at 776909397. We are also at every Lou bess market. Thank you!